Now you can also pay to upgrade the trade offices your company owns in different cities. Spending money on your trade offices will let them report prices more precisely and get more accurate information about how many tonnes of each type of resource are there in the city's warehouse. If you keep upgrading them you will also get access to an advanced price analysis screen which will show you which goods are in high demand and which are not. Another exciting aspect is that you will be able to purchase warehouses in cities. That way you can accumulate goods for your ships to collect later and make even bigger profits! In the next update, battles are going to be affected by the wind. 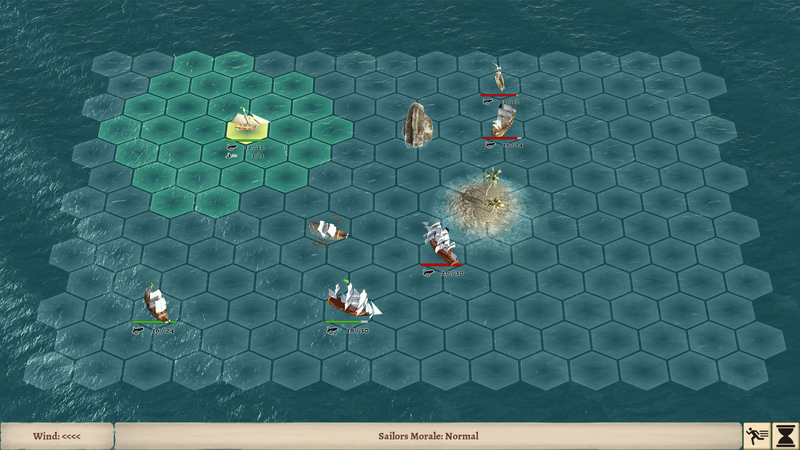 Sometimes it will be quite calm, making your ships move slowly and in a clumsy fashion. Sometimes the wind might help you escape. Sometimes it might even push you towards your enemy, forcing you to remain in battle! Better balance of country relationship modifiers. 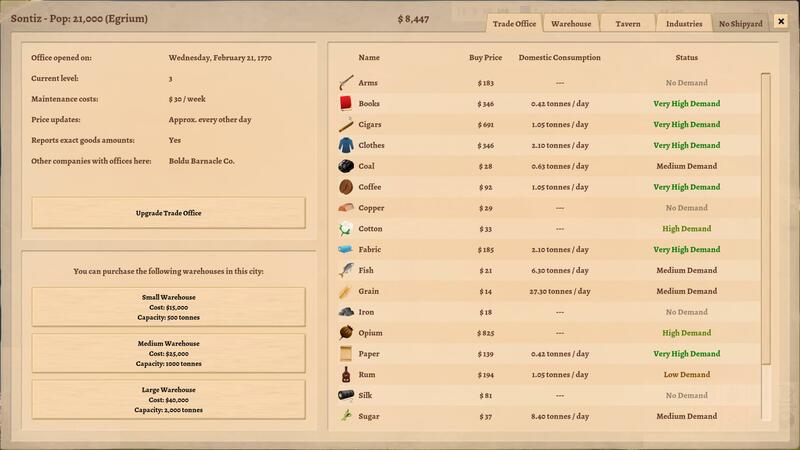 Now there will be more ways to improve the relationship of your trading company with the different countries in the game and their effects will last longer. You will be able to transfer goods directly from one ship to another. Customizable key bindings so you can choose which keys to use to move the camera around. New setting to choose if you want to see world events as notifications so the newspaper does not block whatever you are doing. You can now accept more contracts at the same time. 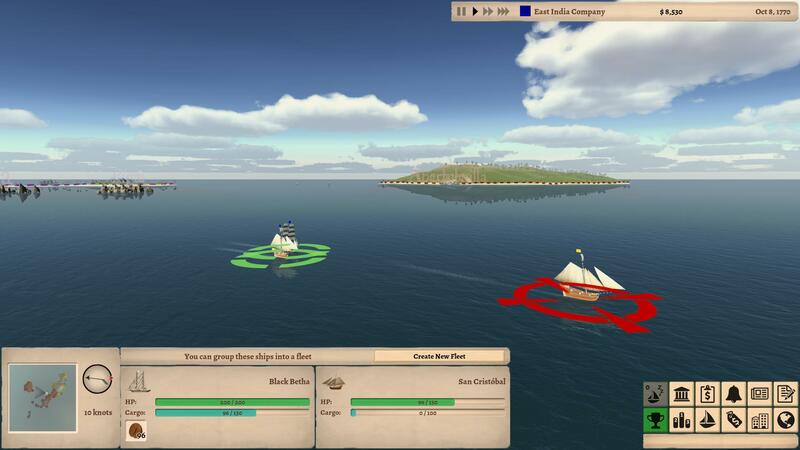 Improved AI both in battle and business decision making. Antialiasing support to make the game look nicer. Several bug fixes to the procedural world generation algorithm. Minor bug fixes in the battle screen and the contract office screen.